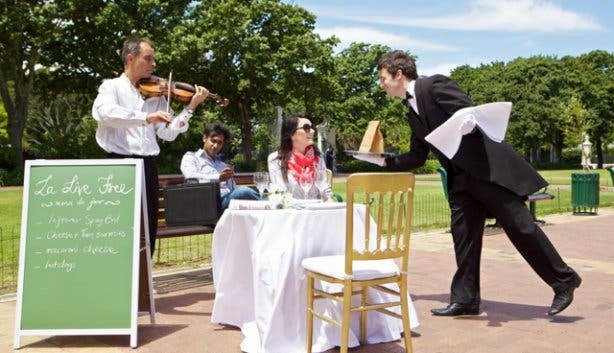 Tipping is a tricky topic the world over – every country seems to have its own confusing etiquette. 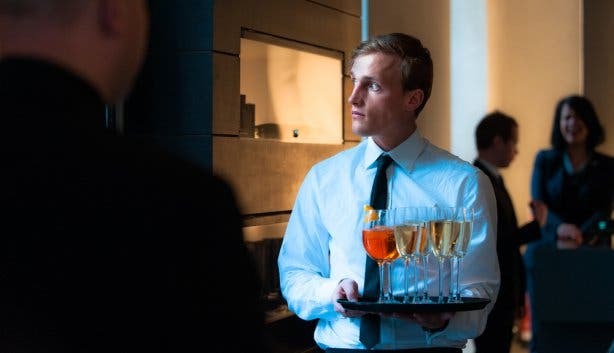 In America 20% is the standard amount for a server, and in Australia it’s generally accepted that the bill is paid as is – a tip need only be given in outstanding circumstances. Here in the rainbow nation though, we find ourselves somewhere in between. Generally speaking, it’s acceptable that diners tip 10% (of their restaurant bill) as a minimum; foreign notes are okay to tip with, but foreign coins are not as they can’t be exchanged - also don’t tip a minivan taxi driver (more on that later). Otherwise, the rest of the tipping specifics can get a bit confusing - even for locals: what about cab drivers taking you to the beach, bar staff getting your party started and the friendly hairdressers taming your troll-like tresses? What is the correct gratuity etiquette in South Africa for these other service providers? To answer these kinds of questions and to bring you a well-researched guide to tipping in South Africa, we’ve spoken to customers, business owners and employees alike. Remember though, as in other countries, a tip is an acknowledgement of a certain kind of service, so use your own discretion and be the judge of your own experience. Service: Car guards are a distinctly South African phenomenon. They are non-unionized people who assist you with parking and proceed to look after your car while you go about your business. As the adage goes, there are two sides to every coin. That is definitely the case here. Some car guards are working towards feeding themselves and a family, whilst others have simply donned a yellow vest (typical card guard attire) in between swigs of wine. 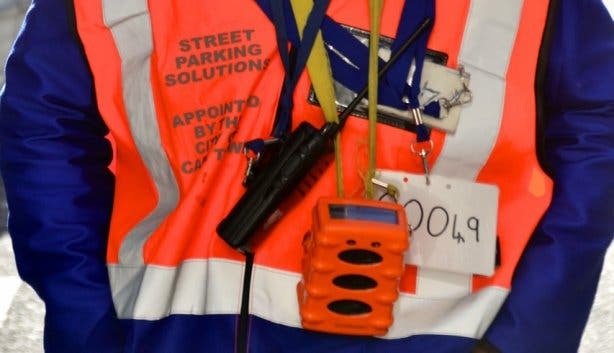 The service is open to anyone who has the gumption to stake out a certain patch of parking territory, so you never know which type of car guard you may get. Use your discretion when dealing with these people, they are not employed to watch your car, nor will they be held responsible if anything happens to it – though they will swear blind that it is safe under their watch. Scrooge-o-meter: 9 out of 10 people tip. Total: R2 – R5 per parking experience. Do: Make sure you have small change on you to avoid an awkward exchange. Don’t: Feel obliged to leave a tip if the car guard appears drunk or is nowhere near your car when you return. Service: These guys will drive you to your requested destination. In South Africa there are two types of taxis on the roads: minivans taxis and metered cabs. The first do not require a tip; for more explanation regarding the second, see below. Scrooge-o-meter: 7 out of 10 people tip. 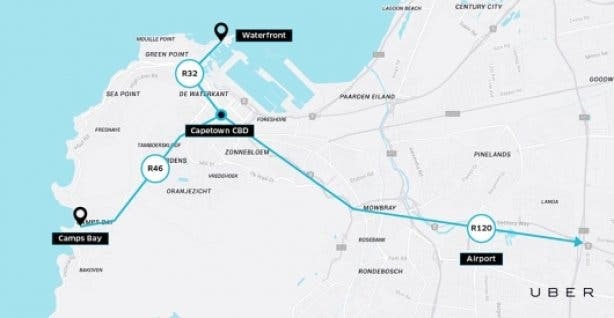 Total: Round up to the nearest 10 or leave up to R20 for city-to-out-of-town driving. Do: Be gentle with the taxi drivers as most work 24-hour shifts. Buying a soda or juice for the driver is a kind idea if you’re stopping at a petrol station. Do: Judge your tip by the amount of stops you make and distance the driver takes you. Don’t: Be bullied into a set price for your journey; ask for the meter to be put on. Service: Provides haircuts, dye jobs and beauty treatments, like massages, waxes and manicures and pedicures. It’s good to note that South African hair salons often have two people working on your hair: the hairdresser will cut and style, while a separate person will wash your hair (which sometimes include a very welcome head massage). Note: Few South African women tip the hairdresser; those who do are slightly more likely to do so if it’s a hairdresser they have used before. General consensus is that women are already paying an arm and a leg at hair salons so very few want to spend anything above the amount on the pricelist. Special note: Men tip more frequently than woman. As the business owner and sage Yogi Govan, from Yogi Barber, says of his clients’ tips, “People tip for good work at a reasonable price". Do: Consider the person washing your hair. Ask your hairdresser if it’s necessary to tip this person as some washers are tipped by the hairdresser at the end of the day (R10 to R20 will do if you are tipping). Scrooge-o-meter: 3 out of 10 women tip and 8 out of 10 men tip. Total: R10 – R100 (for women) / R10 – R80 (for men). 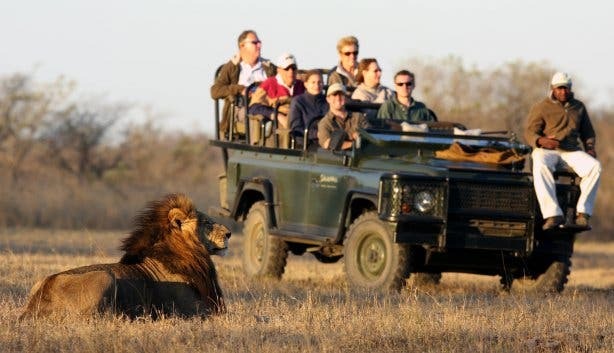 Service: A game viewing experience in South Africa is not just spectacular because of the animals; it’s also usually out-of-this-world because of the careful attention of a contingent of staff members. There are the guides and rangers, who keep you safe on safari, point out the (often near-hidden) animals and lead a once-in-a-lifetime experience out in the beautiful wild (for a day to up to a week at a time); the porters, who deftly carry your bags to your room; the housekeeping staff, who keeps your room clean and tidy; and the servers, who tend to your every culinary need for multiple meals a day. Special note: Assuming you’ve enjoyed your stay, a day-by-day tip is not necessary. Alternatively, a pooled tip for the staff could be a convenient way for you to reach the housekeeping, front of house and general staff all at once. It’s generally accepted that you tip the guide/ranger separately. Do: Bring envelopes; if you enjoyed the service of a specific person or group, put the relevant name/s on the envelope with a tip inside. Scrooge-o-meter (porter): 8 out of 10 people tip. Total for a porter: R20 – R100 for a porter. Scrooge-o-meter (safari guide): 8 out of 10 people tip. Total for a guide: R50 – R500 a guide. Scrooge-o-meter (housekeeping): 2 out of 10 people tip. Total for housekeeping: R20 – R50 for housekeeping (generally given at the end of your stay). Scrooge-o-meter (general staff): 6 out of 10 people tip. Total for general staff box: R100 – R500 (or 10% of your final bill). Service: Porters will take bags to your room, another team will cook and bring you food, housekeepers keep your room clean and tidy during your stay and other general staff may wait on you in the hotel restaurant or organise tours and bookings for you. Special note: As with safari lodges, if you enjoy your stay, a pooled tip is a convenient way to ensure all members of staff are reached. Do: Carry envelopes for tips that you want to give to a certain person. Don’t: Feel obliged to tip at self-catering lodges. Total for porter: R10 – R100. Scrooge-o-meter (room service): 6 out of 10 people tip. Total for room service: Left over change. Scrooge-o-meter (general staff): 5 out of 10 people tip. Total for general staff box: R100 – R500 (depending on length of stay and meals taken). Service: These people serve you drinks and help you to enjoy a get-together. Special note: When tipping bar staff in South Africa, it’s commonplace to leave small change on small rounds and an accordingly larger tip when ordering a bigger round. Do: Use your discretion and value the barkeeps’ time. Scrooge-o-meter: 10 out of 10 people tip. Total: 10% - 20% of the bill. Service: They bring you food and drinks and clean up once you’re done eating and drinking. Do: Tip in cash where possible. Many restaurants wait until the end of the month to give their waiters tips paid for with a card. Don’t: Tip over and above if you haven’t received over and above service. Don’t: Leave the money on the table; hand it to the waiter or waitress that served you. Do: Check your bill. Sometimes the tip is included in the total (if there are 10 people or more at your party then you will almost surely have the tip included into your bill). Total: 10% is commonplace, more for special service. Service: These knowledgeable guides take you through the wines on offer at a wine estate, pour tasting portions for your sampling pleasure and explain the tasting notes behind each vino. Scrooge-o-meter: 3 out of 10 people tip. Do: Consider buying a bottle if you enjoyed the wine, it’s a win | win. Service: Petrol attendants are another decidedly South African service (reminiscent of a certain scene from Back To The Future); these people fill your tank with petrol at a station while you remain in your car. Depending on the attendant and the vehicle’s needs, these helpful folk will also check your oil, water, the pressure of the tyres and will wash your windows. Total: R2 – R5 per petrol stop. Do: Take into account the service being offered and tip more when an extra service is given, like checking your tyres’ pressure (R10 suffices). Do: Consider giving a larger amount after payday at your regular petrol station as a thank you or simply to share the good fortune (between R10 and R30). 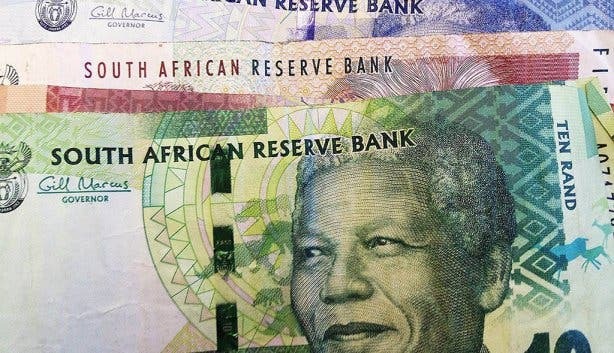 If you want to learn more about how to take control of your money while visiting sunny South Africa, have a look at our traveller’s guide to money and currency in South Africa.